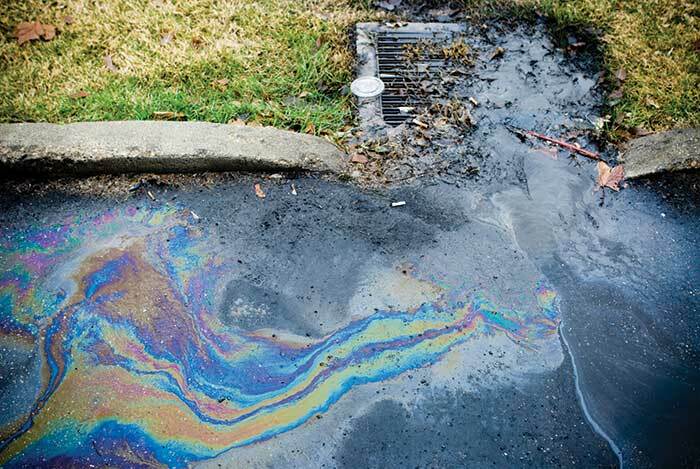 Stormwater pollution can be prevented by effectively managing runoff drainage and employing a robust filtration system. 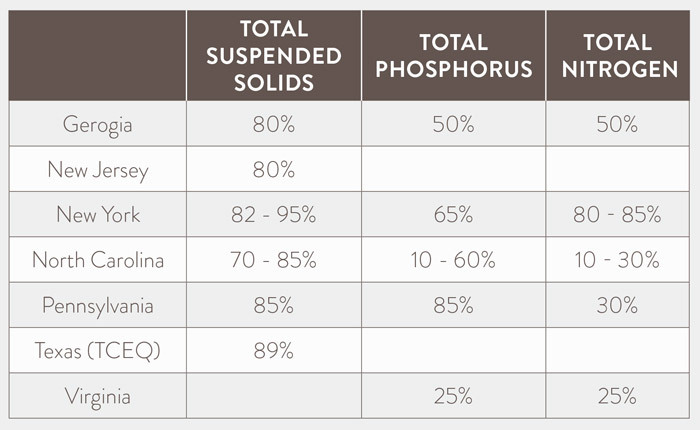 Several agencies, including the US EPA recognize the ability to improve stormwater quality using permeable pavers and PICP systems - reported removal efficiencies for Total Suspended Solids (TSS), Total Phosphorus (TP) and Total Nitrogen (TN) from different states are listed on the adjacent table. PICP systems improve stormwater quality and reduce pollutant concentrations through several processes including adsorption, microbial action, volatilization and filtration. Contaminants within the subgrade infiltrate will undergo further bacterial and chemical reactions with the native soils prior to reaching the groundwater table or receiving waters. Filtration is not only effective at removing large particulate and suspended solids, but potentially also metals, Total Phosphorous (TP), and hydrocarbons subject to the degree that each binds (adsorbs) to the filtered particulates. Within the open graded base/subbase, it is expected that volatilization and microbial action in addition to adsorption, is taking place with some pollutants. Studies have found a relationship between joint infill material and long term infiltration rates. ASTM No. 8, 89, or 9 stone in properly sized joint openings provide the best performance. The joints of the PICP system, like any other filter, can become clogged. The FGCU study estimated it would take 7-20 years for a typical system to deteriorate to the point were it is no longer functional (infiltration rate less than 10 inches per hour), with the range being subject to the contaminant loading rate and the size of the jointing material used. Where contaminant loading is concentrated, such as around tree canopies, winter snow storage piles or stormwater run-on areas (water is running onto the PICP surface from adjacent areas), clogging can be accelerated. 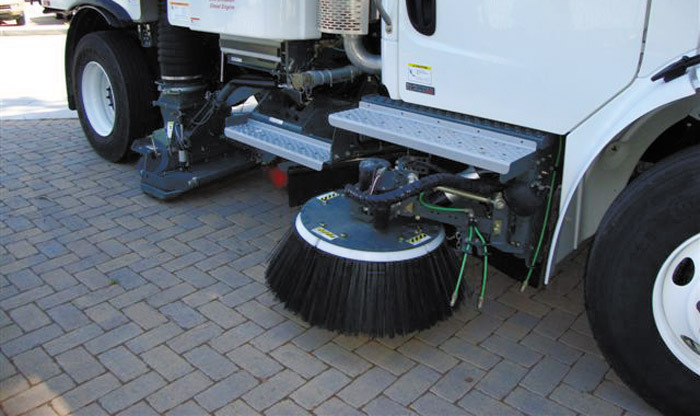 The recommended regular maintenance includes semi-annual cleaning (spring and fall) using a mechanical or regenerative air sweeper to remove any surface debris, especially compostables like leaves and winter sand. Annual infiltration testing following ASTM C1781 should also be done on the PICP surface, especially at the previously listed spots; where the infiltration rate is found to be approaching 10 inches per hour, or where there is any surface ponding noted, remedial maintenance using a vacuum truck should be conducted. 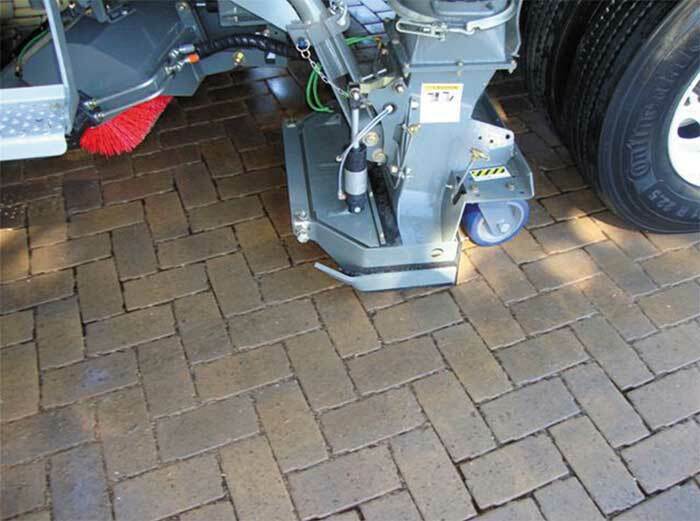 Vacuum trucks are capable of extracting the accumulated debris and jointing material from between the pavers; new jointing material is then swept back in and the system is almost as good as new. Please note that power washing is not recommended as this will only push debris deeper into the joints. To allow for replacement of pavers that may become damaged, and to ensure an even match with existing, a rule of thumb is to store 2 to 5% of the total project as attic stock. Damaged pavers can be pulled up and the new ones reinstated with a few simple tools. In some locations, roof water can be managed by a PICP system for storm water quality improvement as long as the hydrologic design and base storage capacity can accommodate the additional water volume. When discharging the roof water onto the PICP surface, it receives the same filtration treatment as any direct rainfall, but the run-on area may be subject to accelerated clogging. Also, for large drain pipes, some form of flow dissipation should be used to prevent washout of the jointing aggregates. When the roof water is diverted into the aggregate reservoir, a cleanout on the upstream and flow dissipater at the end of the outlet pipe is recommended as shown in the illustration below.